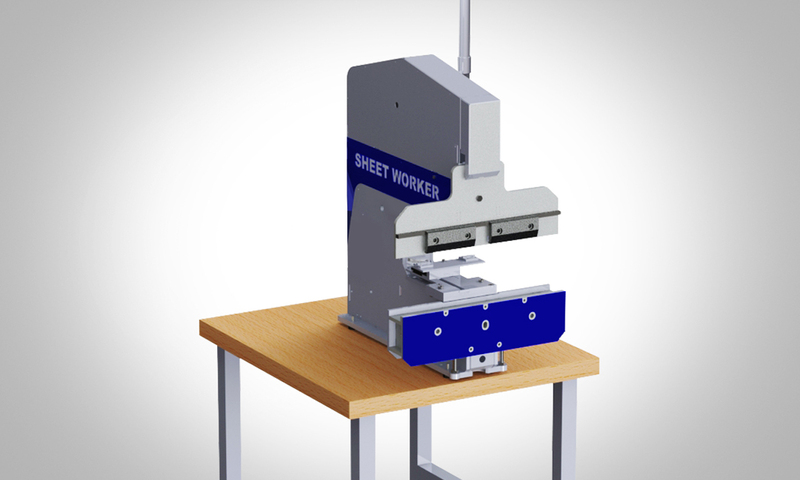 The Sheet Worker Series is characterized by its unique modular setup which makes it possible to change diverse tooling between machines easily and fast. The ergonomic design enables quick and easy operation and shows the practicality of the series. Because of its applicability as an additional workplace. The set-up time is minimized. The series stands out because of its uncomplicated installation, control system and usability. 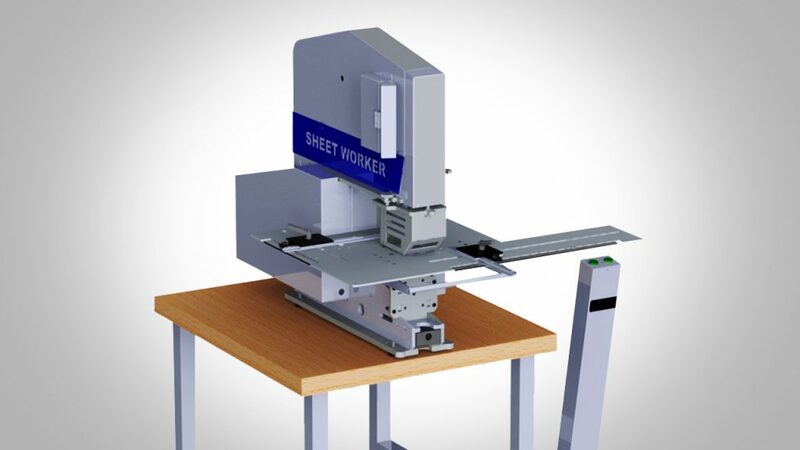 Flexible and quick line-up and repositioning of the machine are possible because of its small and compact dimensions. 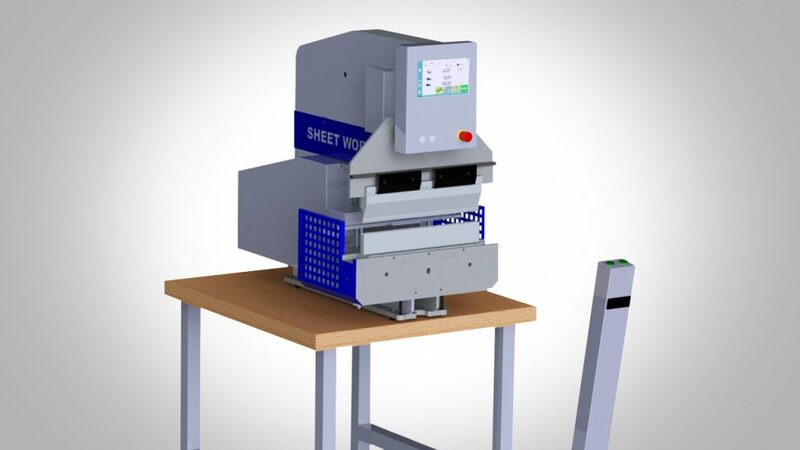 We have a range of special accessories for bending, punching, inserting and general press work. This series is also compatible with punches and dies from well-known companies. The machines are environmentally sound because they don’t need compressed air or hydraulics. The stability and robustness provide for a product that needs a minimal amount of maintenance. The SW Access is the entry model to the Sheet Worker Series. Due to the manual operation and the quick swapping of tooling for different applications, is this model a true all-rounder and perfectly suited to produce small quantities. 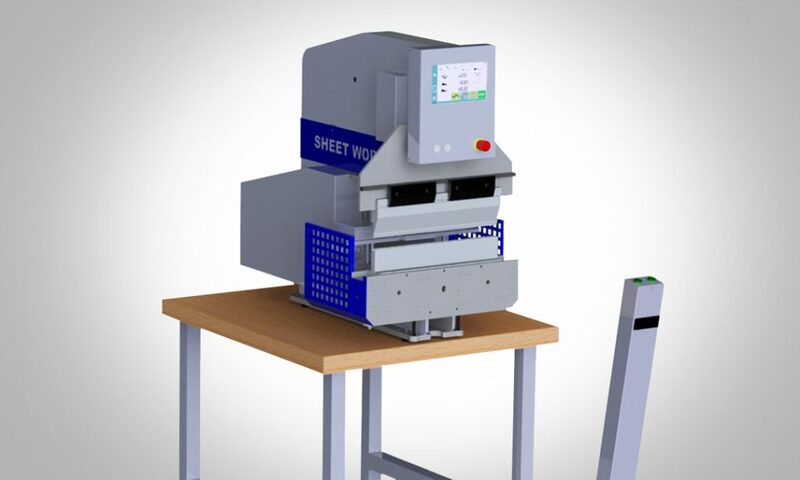 The SW Blend is the Sheet Worker Series semi-automatic machine and shows its flexibility and strength with the processing of high lots with steady processing sequence. The SW Pro is the fully automated machine – and therefore the highest level – of the series. This model makes mass production and the processing of parts with NC rogramming possible. Are you interested? Write us directly!  Do you have any questions concerning the Sheet Worker Series? Are you looking to place an order or for any offer? Write us an email!